Where is Your Portfolio Site? Anyone who does business online without having a basic portfolio site is losing prospects left, right and center. Personally, I am always on the lookout for qualified individuals to help me manage both my business and personal life — and when I find someone who appears to have potential, but does NOT have a portfolio (or business card) site or blog, I am NOT likely to make the time to ask them the necessary questions that might have resulted in employment. Sometimes, those folks approach me. My name is ____ and I have a background as a programmer, sales person and recruiter. I am interested in getting started in online lead generation and marketing content. I would like to talk about possibly partnering with me. I might be able to help you with ___, ___ and referring business your way. I need help with (a,b,c,d….). If you are open to talking, please give me a shout back. The basic “I know this and can help you with that…” format was great, but he totally dropped the ball by not including a URL to his portfolio site that offered PROOF of his knowledge and expertise. Unfortunately, I see examples of this mistake all the time. Photographers, web designers, copywriters, graphic artists, marketing professionals, programmers and so many more professionals who otherwise could be making more money online are losing business simply because they don't have a portfolio site to highlight their talents. Or worse, (in my humble opinion), they use a Blogger (Blogspot) blog that don't show their work in the best light — i.e. with poor color scheme and presentation choices (see below) . Sadly, the homepage of the blog pictured above lacks so many important elements that it does absolutely nothing to enhance Lynn's credibility as a professional photographer. Even the StudioPress site offers a portfolio of its clients' sites! Now let's look at a portfolio site in detail. The Speaker's Copywriter belongs to my friend Sue Wright, who works full-time from her home in rural British Columbia as a copywriter. Her clients include Agora, Inc. and National Geographic! She generates business for her copy-writing services online VIA her website. Her website theme is the StudioPress Metric Theme, as does my own ‘portfolio / personal' site at RosalindGardner.com. About – describes Sue's experience and basic client offerings. Clients – lists clients for whom she's worked. Testimonials – includes names and companies for whom they work. Samples – 2 PDF samples of the type of work she does. Services – A list of all the various services she offers. Contact – Sue provides 3 options for contact (telephone, email & on-site form). Moreover, Sue has an email opt-in form on her site which is incentivized with a downloadable report – “5 Strategies to Expand Your Income: The Professional Speaker's Guide to Monetizing Speeches“. The only changes I would recommend are that Sue upload a favicon, make her headlines more bold and add regular content to improve her Google search engine rankings and bring potential customers back to her site via blog to autoresponder broadcasting. 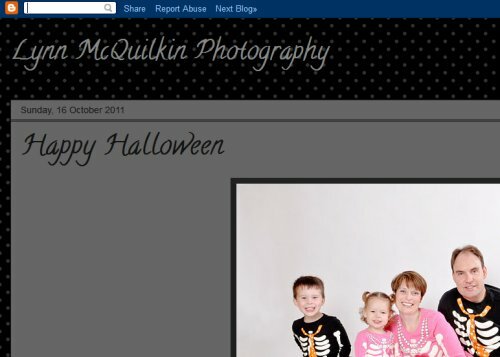 Taking inspiration from Sue's lead, I HIGHLY recommend that anyone looking for work, leads or to build their reputation; make time over the course of a weekend to build their own portfolio site. Take advantage of BlueHost's Fall Special! Get professional web hosting for your portfolio site for just $3.95 per month. But be quick about it… the special ends on October 24th!!! W0w.. is it really that important to have portfolio, i didn’t consider it that way but i guess your right. I’ll be working for this thing the soonest possible time. Thanks Ros for the added info. Just about 90% complete with my new site to promote my business coaching services – been doing this for 10 years and just got round to portfolio site – so your advice is spot on! Ros, do you always recommend a Portfolio Site? Also for us affiliate marketers? Or is it more for those Looking for employment? What a thoroughly educational post. Thanks Ros (as usual) for posting such quality info. Hi Rosalind, I didn’t ever think of making a separate site specifically for a portfolio, but it sounds like a great idea. It’s hard to show your visitors what all you have done in the past through various different websites (like i have). I appreciate the post and will definitely put this into consideration! Oh my gosh did I need a thump on the head or what 🙂 Great advice and I have to say I’m embarrassed..but sure glad you responded! I will get to work on it this weekend, many thanks!